There are plans in place to add a gondola to the base area from the bottom of the road, but don’t hold your breath! In the meantime, if you don’t fancy the drive up you can either hitch, catch the mountain shuttle (for a smallish fee), or come on a tour with us and let us do all the hard work for you! After your epic journey up the hill, you only have a short stroll to the base area building (unless you got out of bed late in which case you will have to hike!). 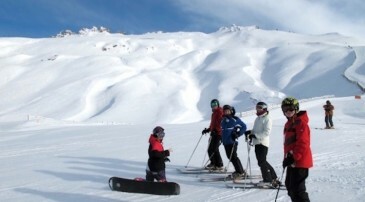 Here you will find all the usual facilities, ski school, rentals, ticket office, shop and the café. Once you ski out of Home Basin to the Saddle area, then your culinary options are severely limited. They do sometimes open a small snack shack, but I wouldn't hold out for that and would plan to eat at the main base area instead. The café gets packed from around midday - you have been warned! The Volkswagen 6 seater express will fire you up to the top of the Home Bowl (1760m) in the time it takes you to say 'I wonder where they got that name?'. Unless there is a white out you will be confronted with one of the best views you will find anywhere in the world. The only other lift is The Saddle, which not surprisingly is in the Saddle Basin. Down at the base they have a couple of platters for beginners which are free to use, which is very nice. Known as one of the steepest mountains around and famed for deep chutes and jaw dropping cliff drops, Treble Cone is probably not the place to go if you want to slowly get into your stride! 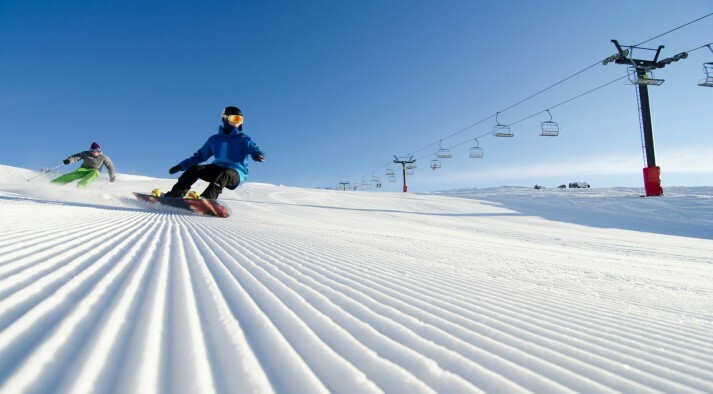 Granted there are some green runs (a winding track basically) which tends to freak out the more nervous beginners. 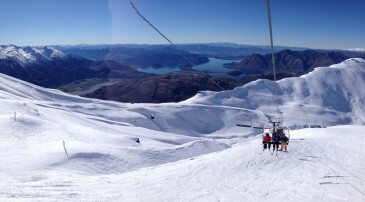 Once you get past that nervous stage Treble Cone is one big playground. 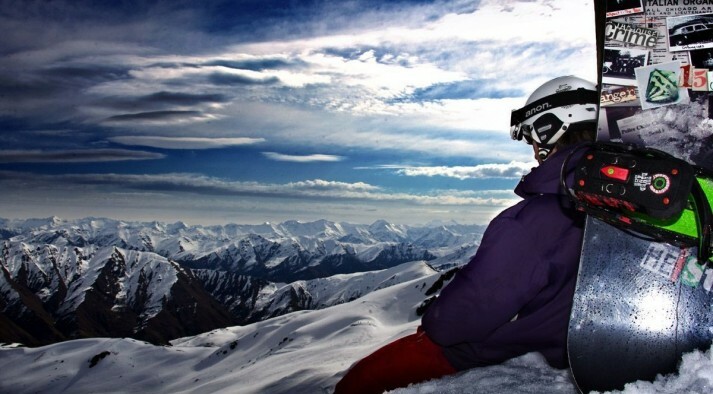 There are so many great runs to be had all over the mountain, it’s difficult to choose a favourite, but here are a couple of ours - The Motutapu Basin offers some spectacular runs but because of avalanche danger after a big dump of snow it does tend to close quite often (plus you got to walk out...erm yeh!). So when it's open and you fancy a hike then head left at the top of the Saddle chair. Head right instead and take Mineshaft down which is great for the exhibitionists amongst us as it runs almost directly underneath the chair. I could go on for hours but it is more fun for you to get out there and find the best runs for yourselves. As I have previously mentioned Treble Cone has enough natural stuff to throw yourself off, and park is not really their bag, or so I thought! As of this year they will not only have a FIS standard big air kicker, but will also be providing some smaller learner/intermediate features….so I guess park is their bag after all! Come on - what’s not to love? 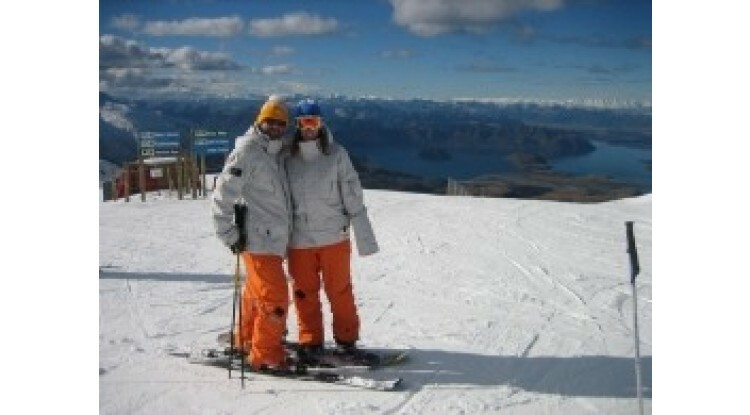 Treble Cone is one of the best ski areas in New Zealand. Of course it has some downsides such as the drive up, the lack of beginner terrain, and the limited eating facilities, but hey if you want to eat all day you could stay in town! I have had some wicked days up there and the view is well spectacular! So yeh we love it!! !